It is commonly called ‘fall’…but its really ‘hunting season’. The leaves are changing colors, dropping from the trees and forming a blanket to cover the green grass. I live for that moment. I love raking leaves, because I know in the back of my head that it is my favorite time of the year. It is the time I work so hard for year around, the time to go to those tree stands for the first time and hunt that buck you have on trail camera, or shoot that first Ruffed Grouse over that dog that loves hunting, this is the time. Be careful, soak it in, it goes by way to fast. I always wished that Fall would last for 4 months, just the colors, the colder nights, and those brisk mornings watching that sun come up that God painted. I live for these moments and cherish every minute with it. I couldn’t ask for a better state to live in, Michigan. Michigan is by far my favorite state, now that is bias as it is the only place that I have ever lived. But you can’t ask for anything more! We have everything, from the sun coming up and shining on that Ruffed Grouse sitting on that log to chasing rabbits in UP Swamps in zero degree weather, that is what I live for. Coyote, Bobcat, Bear, Whitetails, Rabbits, Squirrels, Wolves (unfortunately), Ruffed Grouse, Woodcock, Pheasant, Beavers, Muskrats, Minks, Pine Martins, and every other creature. We have it all in Michigan, as a sportsman, there isn’t another state that I would live in. 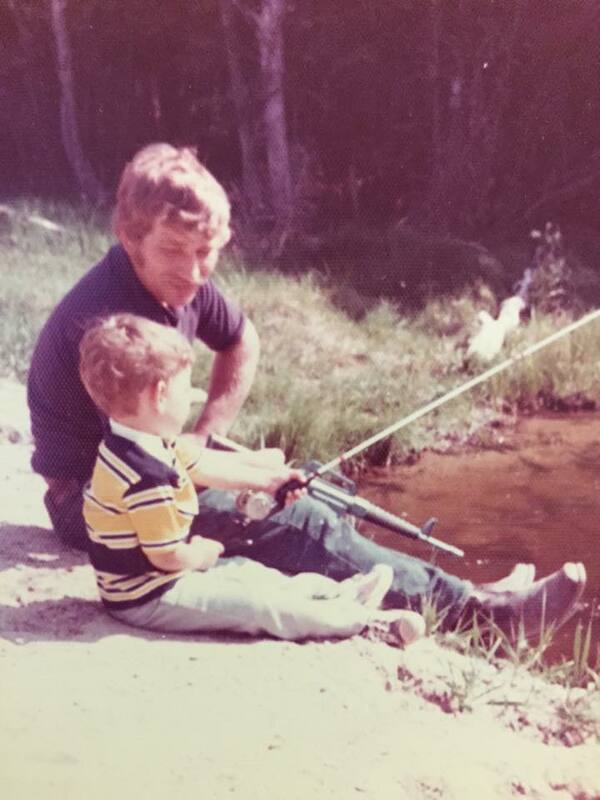 I love it all, from chasing those Ruffed Grouse in the early Fall to Hunting those Whitetail Bucks, and trapping those beavers in the middle of winter, that is what I was made to do and live to do every day. This is the anticipation that I look forward to every single fall. There is nothing better than gutting that buck that was killed by you, putting clean meat on your table for your family and friends, its a rewarding event for a lot us. So as we look forward to the fall, keep 3 simple things in mind. 1. Cherish every moment in the great outdoors. Keep life simple.I feel like life gets way to complex with these days – between all the business of life. Fall goes by extremely fast, cherish every moment you get to see that sun come up. Most importantly, appreciate the small things that happen to you, whether you kill a big buck or not, that’s a bonus to me. I work hard, just like all the “Common Hunters” out there, to get on and kill big bucks, but killing a buck is a bonus to me and the experience that I have in the outdoors. But, you’d probably agree with me, that there isn’t anything better that killing a big buck, tracking him through the fall leaves that landed on that piece of dirt and finding that buck. That is a special moment and I hope you share that moment with your friends and family. 2. I have said this multiple times and I will continue to say this – Keep Life Simple. I live a very simple life. I appreciate the small things in life. Its not about shooting the biggest buck, I feel as human nature and the culture we live in, we have to prove something to people. Once you realize in life that you have nothing to prove to yourself or others, you find yourself a sense of freedom and happiness. In my opinion a simple life is the best life, you don’t take anything for granted. That big buck or Studly Doe that you kill, you are proud of it as it is putting clean meat on your table. I can count on 1 hand how many times I have purchased Beef, I am not saying that to be proud, but I shoot deer to provide meat for myself and it is something I love to do, it is the cycle of hunting. You appreciate what you kill a lot more. 3. Get your Family and Friends involved in the outdoors and hunting lifestyle. Have you ever been on a hunt by yourself? I have, trust me, it’s no fun. Family and friends is what makes this lifestyle called “hunting”. Sharing your experiences in the field with you family and friends is what it is all about. 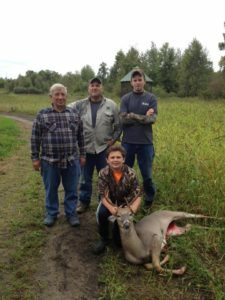 I love hunting with friends and family, in fact my only hunting partner is my Step Dad “Zeak”, we have shared some great and bad experiences together in the timber from the Upper Peninsula of Michigan to hardwoods of Ohio. I rarely go on a out of state hunt without him. Find that hunting partner and it is amazing how your relationship with grow. Enjoy the moments together as you never know when they can be taken away just as fast as the past 11 years of hunting together. We had a close call this winter, but thank God that my hunting partner will still be around for this fall. Life is short and remember you are leaving your own legacy on this earth, whether you know it or not. Cherish and enjoy every minute with your family and friends this fall. Thank you for reading my anticipation for the “fall”. I am a Common Hunter, I work the 40 – 50 hour work week just like many of you, and once you appreciate the small things, you find hunting to be a lifestyle and not a hobby. 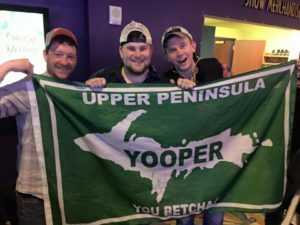 I am not a good writer, so I apologize for the grammar issues, but this is how I put it down into words, I am just a Yooper. I am sure a lot of you can relate.